If anyone needs to know anything these days, they throw some keywords into a web search. Eureka! Ten to twenty or more websites pop up! How many does the typical consumer look through before finding what they need or giving up? That’s the million-dollar question! Web design Raleigh is where advertisement meets the modern-day consumer. In order to have a successful business, you must have a successful website. Let conversionMOXY do the grunt work for you! The new wave of decision-making is entirely data driven. ConversionMOXY has the expertise to make the data work for you. Using the seven phase process of web design Raleigh – they create custom websites. Their graphic designers create unique branding for your business. Specializing in all forms of digital marketing, they are able to harness data from multiple digital sources. Their digital expertise can springboard your business over the competition. Since consumers have hundreds of choices today, first impressions are crucial. Your web design can make or break your business. You want your business’ website to be the first on the web search page. Appearing higher up on the web search page means more traffic. More traffic equals increased business. In order to get the best results, conversionMOXY combines several factors into your design, including leads and sales. The design can be web- or server-based, depending on your needs. They provide several other services to enhance your consumers’ experience with your website. Some of these include social media management, branding opportunities, and search engine optimization (SEO). By involving all of these key pieces, they are able to create a website perfect for your business. After conversionMOXY has created your website, they continue to support your business. Phases six and seven of the process occur after they complete the website design! Before they launch the site, they test all aspects of the website. They also ask a very crucial question: Does the website fulfill its purpose? If it doesn’t, it’s back to the drawing board! Phase seven is even more important – deployment! This is the most important phase of the process. The staff at conversionMOXY takes pride in monitoring your website, so it continues to meet your needs. Peters Auto Mall: The conversionMOXY team created a daily inventory feed, increasing traffic and business. 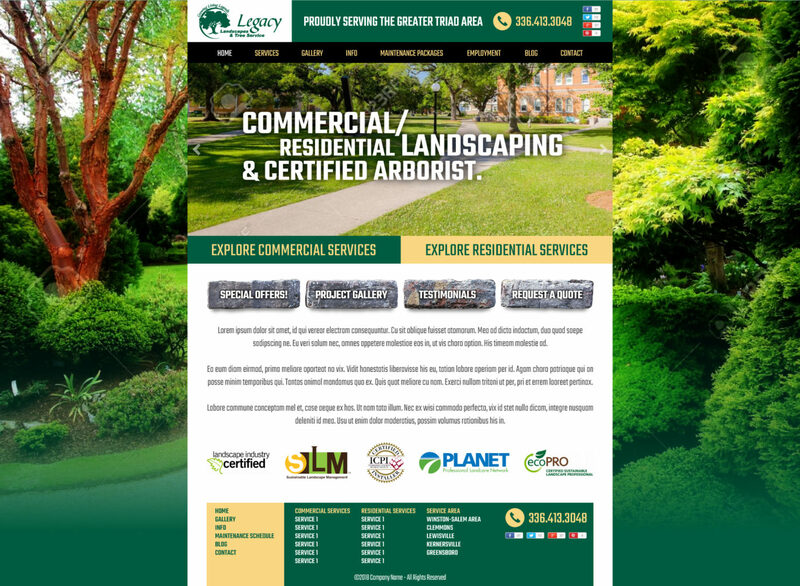 Landscape Solutions & Design: In the beginning, conversionMOXY revitalized the website by making it mobile-responsive. Now, they provide ongoing web presence management. The company continues to thrive with significant growth! You can check out more of their success stories on their website. Don’t let the competition steal your website visits. Attract the most business you can by enlisting conversionMOXY’s help with your website design. They will be able to create a design engineered to optimize your business! Don’t wait until your website is at the bottom of the web search results page. Contact them today (888-834-0340).